View your job site 24/7 from where ever you are using Project Eye’s easy-to use, password protected web-interface from any computer, iPad, or any web-enabled smart phone. You'll have dashboard access to all jobsites, be able to pan, tilt and zoom, see current weather conditions and more. Promote your website and increase exposure by highlighting work in progress, or archived images of completed work. Market better, use ProjectEye. Eliminating one roundtrip journey between New Delhi and Mumbai saves 2500lbs of CO2, roughly as much as 80 cars emit in a day. Save the environment, use ProjectEye. Make fewer trips to the jobsite and spend less money on travel. Cut through the clutter and work with a company that not only knows the technology, but also sources the best vendors, service providers and installers to deliver turnkey. Estimators rely on experience when bidding new work. Archived images of past projects with our construction camera system can help you estimate new work with more certainty. With better visibility, better decisions can be made. Customers, project owners, employees and vendors can see these decisions and their impact. Communicate better, use ProjectEye. An image is worth of thousand words. In construction, it’s worth hundreds of thousands rupees. ProjectEye, less talk, more information you can use. Train new hires effectively by sharing stored images or video or similar work simulations. Train better, use ProjectEye. Remember seeing a situation where the site conditions were similar? Stop trying to remember what happened – look the images captured with the ProjectEye’s construction camera system and know for sure. Our new web application is more efficient, loads faster and is easier to use. On PC, Mac, iPhone, iPad, or any smart phone. Tech support that doesn’t sleep. Almost. Increase productivity by helping workers identify, problem areas. Expect passive improvement too, it’s called the Hawthome effect. Stop relying on other people’s accounts of what happened in the field. See it for yourself. We call this ‘Single Channel Information Transfer’. See it unbiased. Our low-price guarantee. Getting the most value has never been easier. Use ProjectEye. Make fewer visits to the jobsite; spend less time travelling and more time working. The Live PTZ construction camera system and HD megapixel construction camera system maximize your time. Reduce theft and lower you insurance premium. Use ProjectEye. Manage subcontractors and vendors by giving them LIVE visual access to the job from anywhere they can get on the Internet. Manage better the Live PTZ construction camera system from ProjectEye. Maximize your safety director’s time by having them monitor multiple projects from their office. Reduce travel, improve safety, be happy. Showcase your work, impress your customers and vendors. Leap ahead of your competition, use ProjectEye. passive improvement in worker safety because workers know they are being monitored (the Hawthorne Effect). The archiving feature with the construction camera system gives you access to every image captured since day one. Better hindsight means better foresight. Instantly monitor jobsite progress from anywhere there’s an Internet connection. Manage better using the Live PTZ construction camera system or HD megapixel construction camera system, use ProjectEye. ProjectEye offers a FREE dedicated page and Facebook streaming. 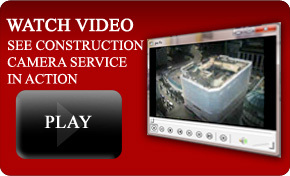 Market better with our HD MegaPixel construction camera system ,Live PTZ construction camera system. Identify problems areas quickly by having 50 ‘more eyes’ on project. And our new HD MegaPixel construction camera system and Live PTZ construction camera system cameras feature razor sharp resolution, so you can capture more detail.